Loewe is trying to recover from a painful restructuring phase a couple of years ago by rebuilding its TV business around OLED technology. The German brand now has an extensive OLED line-up ranging from the bild 3 to the flagship bild 9 – all with 4K resolution and Dolby Vision. We have the Loewe bild 5, which has an integrated soundbar and a 1TB hard drive. 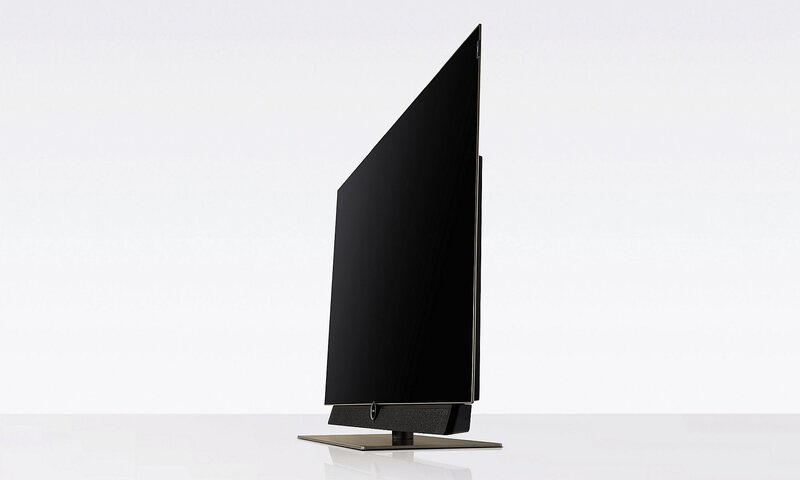 Loewe is – like all other OLED TV manufacturers on the market – using LG.Display’s panels. You pay a premium for the pleasure so the pressing question is of course; what do you get for that premium? In this review we will be examining Loewe bild 5. From the moment you start unpacking the Loewe bild 5, it becomes clear that this is a premium product. The base is far heavier and studier than most TV’s and as soon as you pick up the remote control, you understand that Loewe is prioritizing quality materials. Loewe offers a range of placement options, including two floor stands (wood or aluminum). Our sample was delivered with the standard table stand, which has a manual swivel function. The stand is built up from a heavy metal base with a cover in brushed aluminum finish. 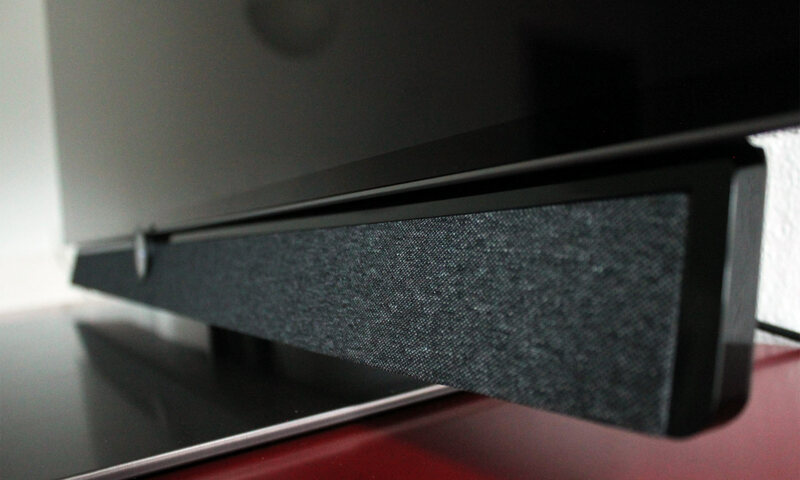 The front-firing soundbar below the screen has a glossy black plastic frame that takes away a bit from the premium feel but the fabric looks good. The circular design element embedded in the lower frame has a small information diode array that has become sort of a signature look for Loewe. Another detail is the logo, which has been moved to the right side of the frame as a small label flap. Unfortunately, bild 5 has the same big and bulky electronics box on the back. It is there to accommodate TV tuners, connection ports, power supply, hard drive etc. Loewe has been experimenting with moving all of this stuff into a separate wooden box – a modular solution – but the solution is not yet available on the market. Using a separate box to connect cables seems like the right approach now that OLED TVs are so extremely thin but it presents some other challenges that manufacturers are currently trying to address. By removing a back cover you expose the input ports but a few of them are instead accessible from the side of the TV (hidden by yet another cover). Loewe has made sure that all ports face either down or to the side. This is how a TV should be designed as it allows for easy wall-mounting. 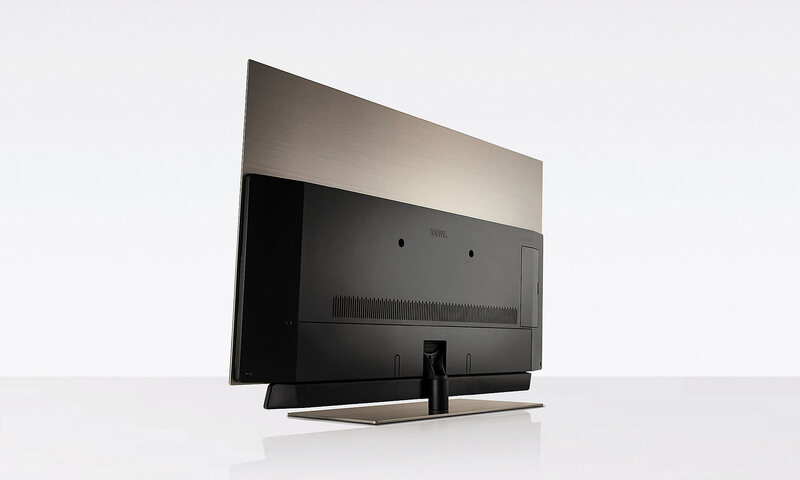 Loewe sells various wall bracket solutions but the TV is also compatible with standard wall brackets that follow the VESA 300 specification. It should come as no surprise that the OLED panel has a glossy surface. Most TVs today use this type of coating that helps maintain contrast and colors in very bright environments. It will, however, reflect bright objects in the room to some degree as can be seen below. This is one area that we have been particularly curious to examine. Rather than partnering with Google, Amazon or Roku, like many of its competitors, Loewe has chosen to develop an in-house platform dubbed ‘Loewe OS’. Starting this year, FlatpanelsHD will put the spotlight on missing OS updates on TVs. Loewe has assured us that the next major version of ‘Loewe OS’ will also be available for bild 5. We will, of course, look into this once time comes. Before we dig in, we wanted to quickly comment on Loewe’s line-up of TVs. All of the company’s recent TVs are built on this Loewe OS platform, which also means that most of what you are about to read below will apply to Loewe bild 3 and up. Bild 3, 4 and 5 use the same OLED panel and video processor, the company tells us. 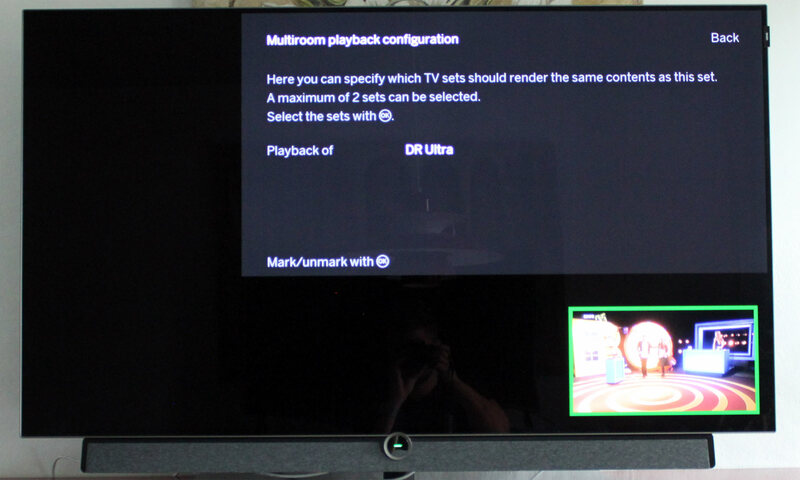 Going from bild 3 to 4 adds an integrated surround module. Stepping up to bild 5 adds a built-in 1 TB hard drive. Loewe further explains that bild 7 and bild 9 use a “custom-made” OLED panel from LG.Display but the company did not go into details as to what that entails. We expect it to perform much like the other OLED models based on our experiences with OLED TVs over the years. 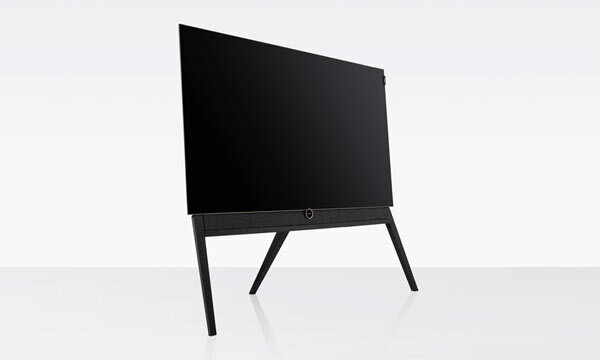 Loewe’s high-end TVs from the 7 series and up have more powerful speakers and more unique designs. 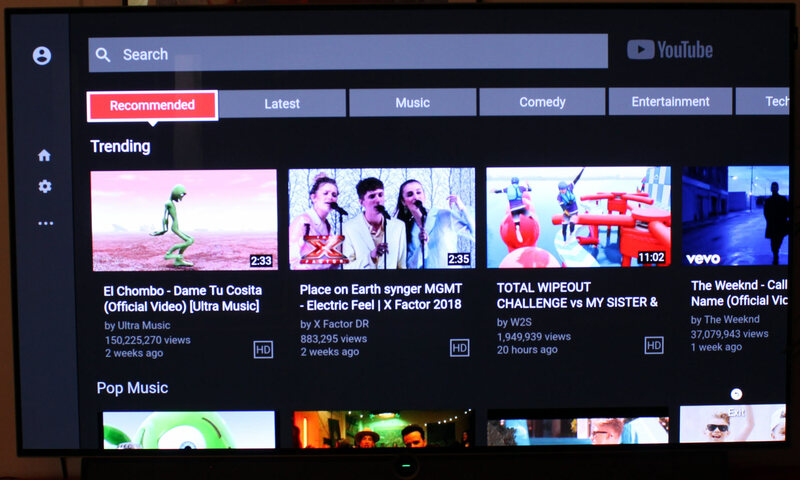 The TV’s user interface and general functionality is designed around a home screen on which you can create shortcuts to input sources, apps, channels or other things. The idea of having access to all of your favorite sources from a single screen is one that manufacturers are increasingly embracing rather than dividing TV channels and apps into separate sections. It is a full-screen overlay menu but depending on what you want to do, there are shortcut menus that pull either to the right or left side of the screen, allowing you to still enjoy video playback. When you start digging into Loewe’s internet/apps platform, you quickly realize that the company is focusing far more on the classic tuner functionality (that we will get back to in a moment) than internet functionality. There are a few ”apps” such as Netflix, YouTube, and Tidal available but most of them are literally just links to a webpage. 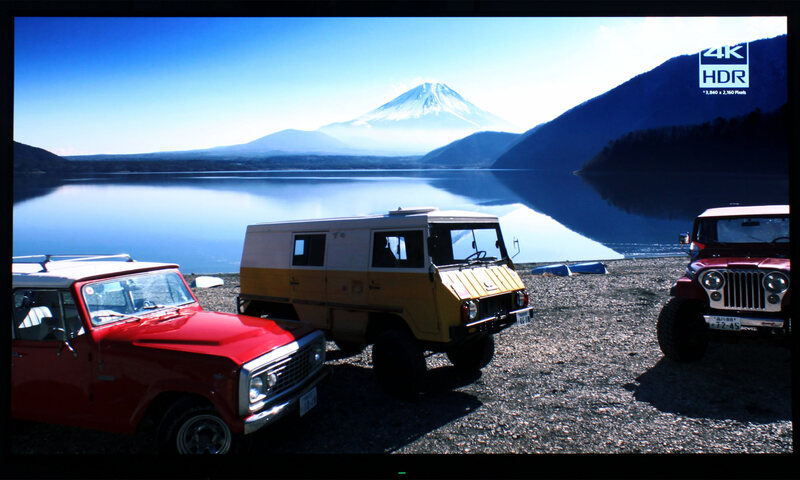 The Netflix “app” even has an on-screen mouse cursor that you have to juggle around by clicking the left/right/up/down buttons on the TV’s remote control – a terrible user interface on a TV. At this point, we would have loved to say that the issues that we encountered were exceptions or due to some specific cause that could be rectified but as we proceeded to use the ‘Loewe OS’ it became crystal clear that this platform is too sloppily put together. We could continue to describe the folder-based structure of the internet or DVB radio features or point out how the YouTube and Netflix apps lack support for 4K+HDR (update: YouTube supports 4K) but we think you understand where we are going. 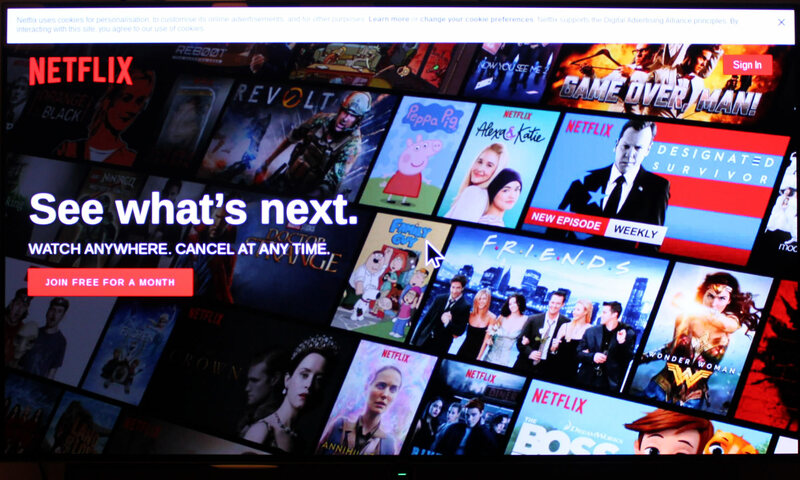 We understand why Loewe is hesitant to join the Android camp – that has plenty of issues to deal with – but trying to pass off a wrapper of Netflix’s website as an ”app” is disappointing. So is the lack of services, the many UI issues and glitches, and the fact that the platform often failed to react to remote presses. We wouldn’t exactly characterize ‘Loewe OS’ as an operating system like the company is doing. We would probably just call it a simple web overlay. 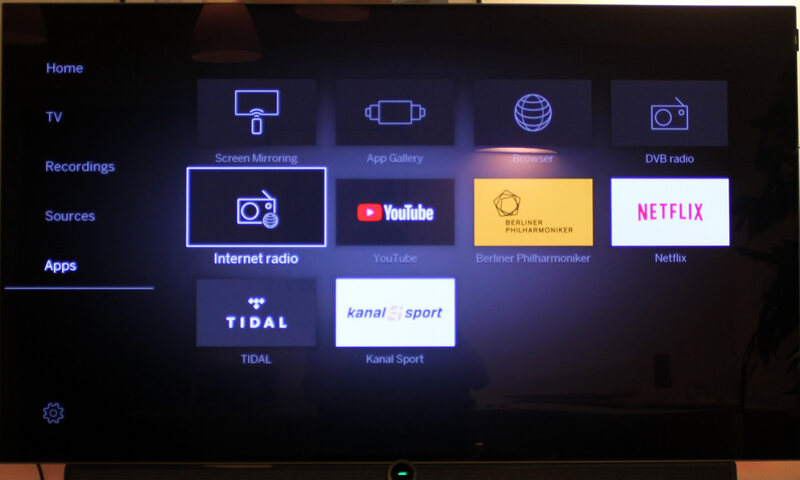 Several of these features actually take away from the experience of using the Loewe TV because besides all of the apps or interactive features, the company’s menu system is – besides the sporadic crashes and the conservative look – relatively easy to navigate. Few TV manufacturers are willing to remove functionality but in Loewe’s case we think that removing several of these half-baked features would actually elevate the experience. Less is more. If you are streaming video of any kind, there is simply no way that you will be satisfied with what Loewe is offering here. Ignore it and connect something like an Apple TV, FireTV or Chromecast. Loewe’s remote control is made from plastic with an aluminum coating on top. It has an exclusive look and feel, and rests comfortably in the hand. At the time of review, we also had Sony and Panasonic TVs on the test bench and the two Japanese companies’ remote controls look like toys when lying next to Loewe’s but you obviously also pay a premium for the luxury. The remote control has a myriad of buttons and Loewe’s heritage clearly shines through here. The broadcast channel is still the dominant way of watching TV in Germany so Loewe has packed the TV with advanced DVB tuner functionality. The design of the remote control reflects that. If you want a simple remote designed for the streaming age, Loewe is probably not the obvious choice. Nevertheless, and despite the myriad of buttons, we felt that the remote control is fairly intuitive to use, except perhaps for the position of the ”back” button. The buttons have a nice tactile feel but there are also some annoyances, most of which relate to the actual TV. 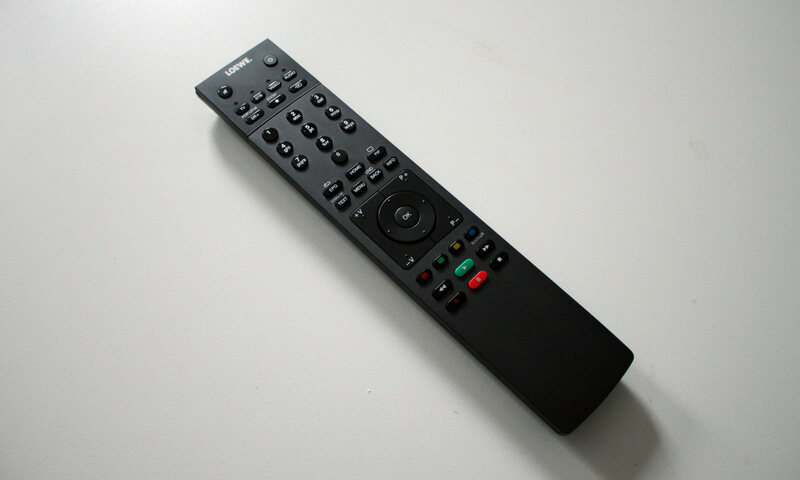 The remote is IR based and even though it is not overly directional, it continues to surprise us that most TVs nowadays still rely on IR commands rather than bluetooth. On several occasions, the TV did not react when pressing buttons. It appeared as if the TV also got stuck at times when trying to switch video input, so of course the natural reaction is to press the button again after which the TV sometimes executed a string of commands. The remote control can be set up to control external devices, Loewe explained. We did not explore the possibilities. Loewe is offering a companion app for iOS and Android smartphones and tablets. At first, the app was unable to find the TV on our home network but Loewe informed us that the user must manually enable ‘mobile recording’ from the menu in order to make the TV announce itself on the network. It worked. You can use the app for switching the channel on the TV, access the TV guide, and schedule recordings. In addition, you can use it to stream live channels from your TV’s built-in tuners to your mobile device over the home network. 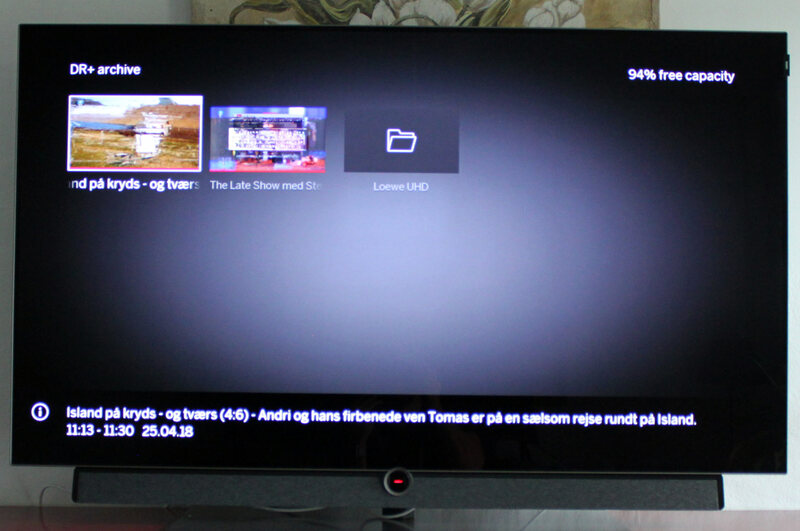 TV channel integration in Loewe’s remote app works well and is something that we can see many buyers appreciate. If we had to put our finger on one aspect that needs improvement it is the actual remote control element of the remote app. Like all other TV manufacturers, Loewe has just lazily mirrored the buttons from the physical remote onto the touch screen so you can press ‘Menu’, ‘Back’, ‘Left’, ‘Right’ etc. 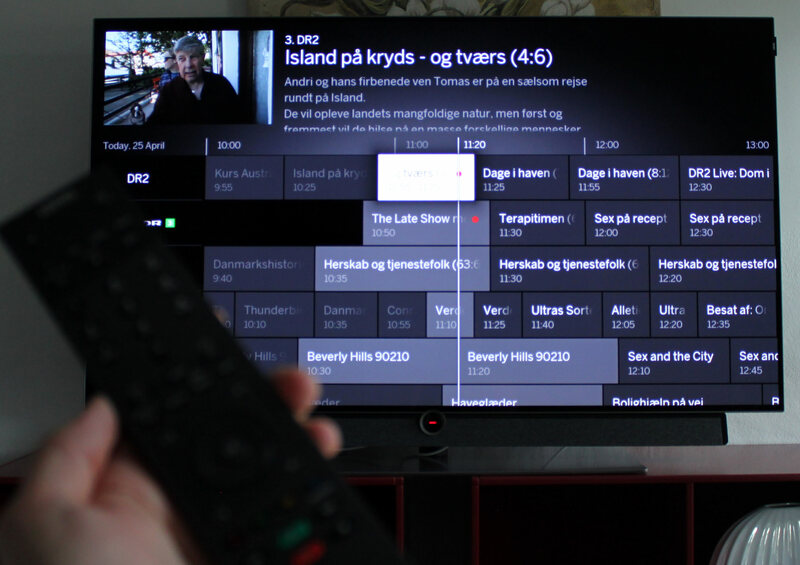 rather than redesigning the experience or letting users set up shortcuts various parts of the TV. This is a missed opportunity. The ‘Loewe App’, as it is called, was recently updated with a streamlined user interface, and we found it to be intuitive and useful. It is definitely one of the better companion apps for TVs and if you own a Loewe TV, we recommend that you download it. Loewe has a proud heritage – and sticks to it. 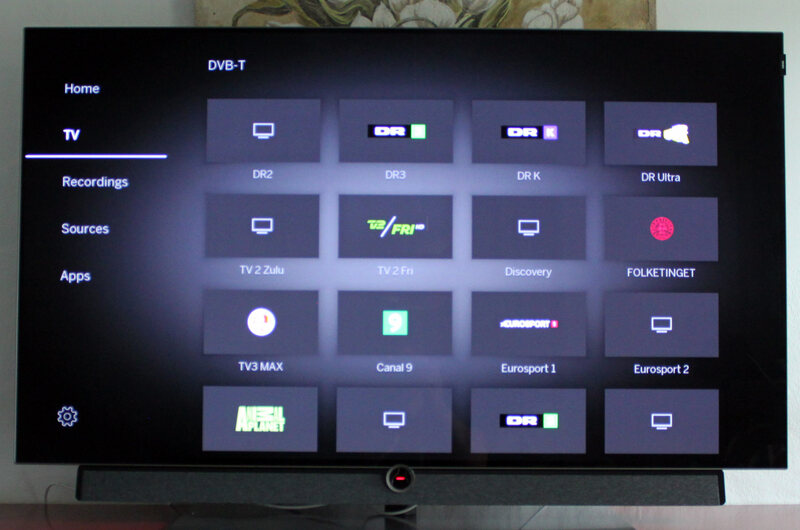 The company’s TVs have clearly been designed to revolve mostly around broadcast TV, channels and tuner functionality. The more affordable Loewe models offer many of the same features but a built-in hard drive allows bild 5 to do a lot more. Having this kind of advanced tuner features in a TV obviously requires you to connect the antenna cable directly to the TV as you will lose most of the features if using an external tuner set-top box. Setting up the TV channels took a little time because Loewe’s TV is more sensitive to poor antenna reception than the other TVs in our testing facility but after we moved our antenna outside, the TV correctly tuned in to all of the channels. 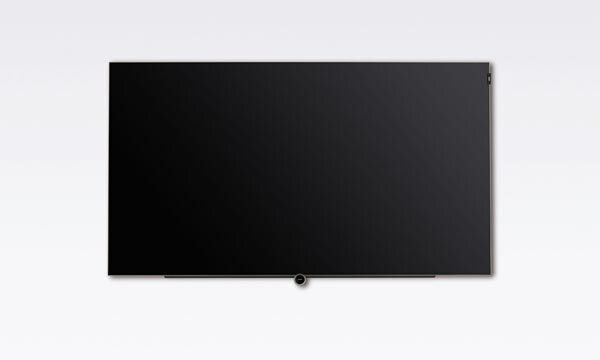 Loewe TVs come with an elegant and streamlined TV Guide (EPG) that uses the full screen to present channel information. In addition, you can schedule recordings from the TV Guide that shows compressive information for each TV program. The TV Guide relies on metadata from Gracenote, which means that you have to accept that your TV viewing data will be collected and shared with third parties. Changing the channel takes just a little over 1 second. The company touts ”Instant Channel Zapping” that takes advantage of the twin tuners inside to make switching faster. 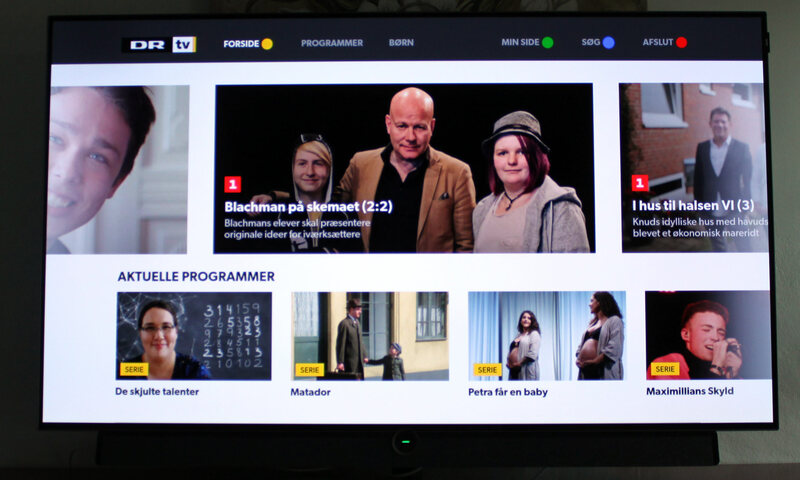 The TV also supports HbbTV that allows you to press the red button on the remote to start internet streaming if the broadcaster has set up an HbbTV portal. From the ‘home’ menu you can create shortcuts to specific channels by pressing the ‘*’ (star) key, which is useful because the same home screen can hold shortcuts to HDMI sources and apps (not that you would want to place a shortcut to the Netflix ”app” but still…). 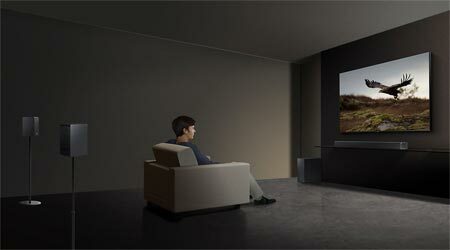 In addition, Loewe has implemented a feature that it has dubbed ”multiroom”. It allows you to have two Loewe TVs at home present the same content. The functionality extends to other features such as recordings that can be shared between TVs. Now, we know what you are wondering. Will this work with TVs from other brands? We are happy that report that yes, it does. When we were testing the Loewe bild 5, we also had a Panasonic FX700 available. When FX700 was connected to the same WiFi network as the Loewe TV, FX700 automatically discovered the TV and gave us access to the recordings stored on the built-in hard drive in the Loewe bild 5. Loewe offers menu settings to make the hard drive available even when the TV is off but be aware that it will significantly increase standby consumption. The built-in hard drive never skipped a beat while we were testing the TV. The hard drive furthermore enables you to pause live broadcast and rewind to the point where you started watching the channel (or when you started recording the show). 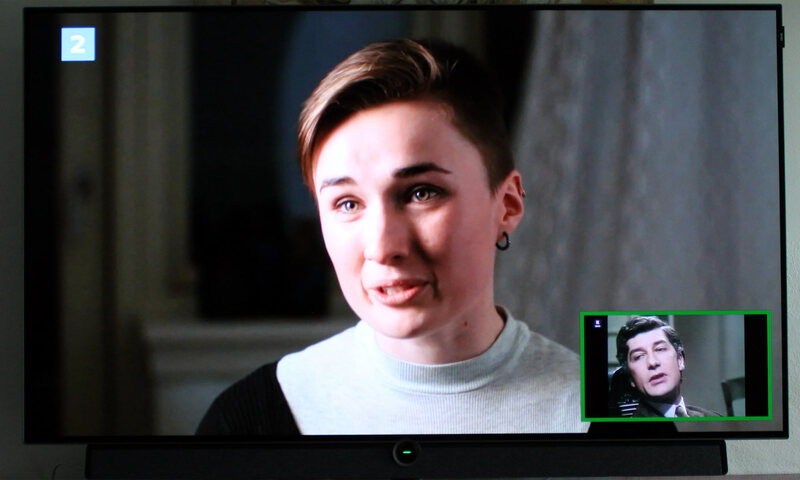 It works and is very nicely integrated but we did encounter a few issues in the user menus that would sometimes lock us out from accessing recordings archive until we restarted the TV. It appears to be related to the same bug that we encountered when checking Loewe’s internet features that would sometimes disappear (until a hard reset). 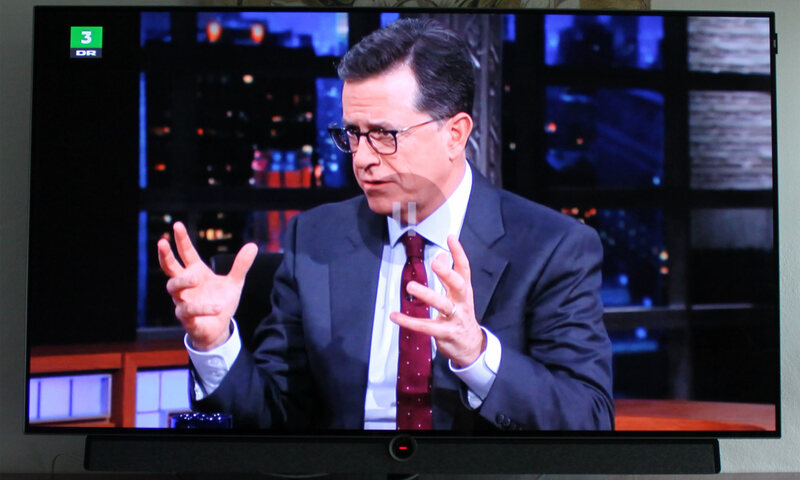 The picture-in-picture function does not work if one source is 4K and it has limitations if you are currently recording another show but other than that it works as advertised and places a small picture in any corner of the screen. You can use PiP with two different channels at once and use PiP with HDMI sources. All of these tuner-related features, and other small details that we have left out, are neatly integrated and easily accessible. Perhaps most strikingly is the contrast to Loewe’s efforts in the area of internet features / apps. As such, it is clear where Loewe is putting its focus and what kind of consumers the company is trying to cater to. If you watch mainly channels and broadcast TV, you will be very pleased with Loewe’s intuitive, yet advanced, tuner features that rank amongst the best on the market – if not the best. Loewe is often touting its TV speakers and it is true that the 80W soundbar delivers considerably more punch than most other TV speakers out there. It is front-firing so human voices appear clear and natural and the system delivers decent midtones and bass. 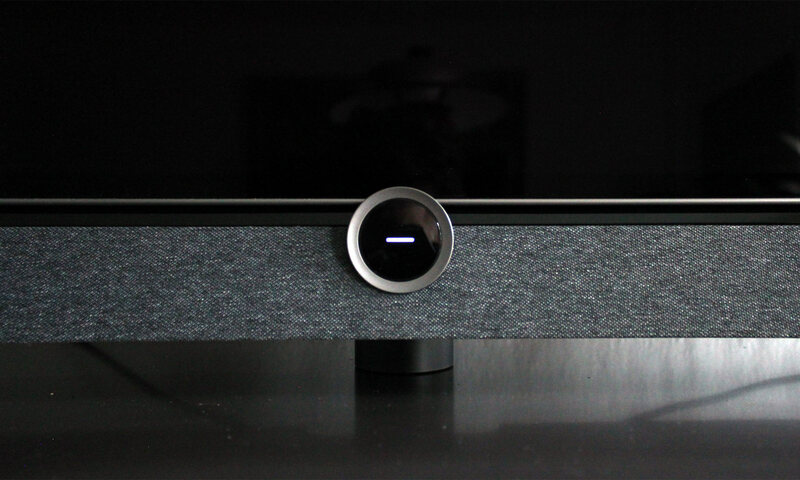 However, it is not a powerhouse and no match to the soundbar in Bang & Olufsen’s BeoVision Eclipse TV. It certainly has some obvious limitations when watching movies. Most people would probably find it good enough for casual TV viewing but we still recommend a separate solution. The company explains that you can detach the soundbar if you already have speakers or if you just want a different look. 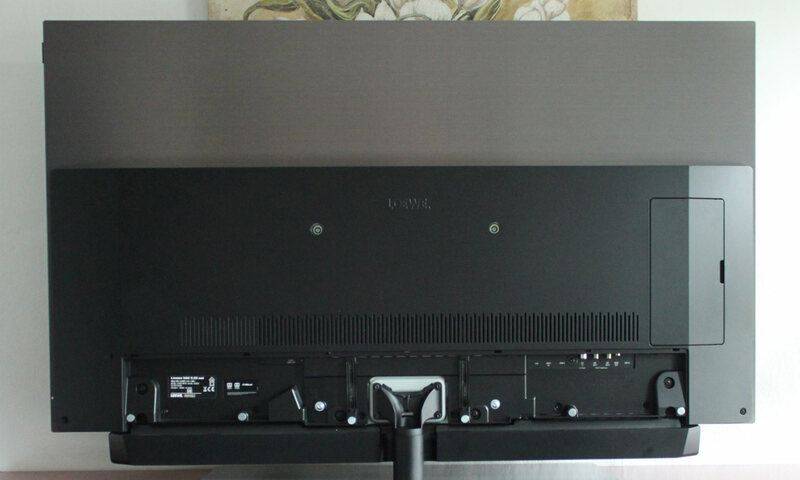 Bild 5 also has a built-in surround decoder, allowing you to connect either Loewe speakers or speakers from other brands. In such a setup, the soundbar can be set up to act as a center channel. Lastly, Loewe offers a wireless speaker option in the form of the ‘klang 5’ speakers. You connect them to the TV by using an adapter. We did not have the speakers available for testing but the company explained that wireless audio gets streamed over 5.8 GHz, which is a relatively uncongested frequency band. The wireless audio system can be used to set up surround, with the TV acting as the center speaker. This is possible on the bild 4 and up. Loewe’s TV has four picture modes to choose from: Home, Premium, Cinema, and Personal. 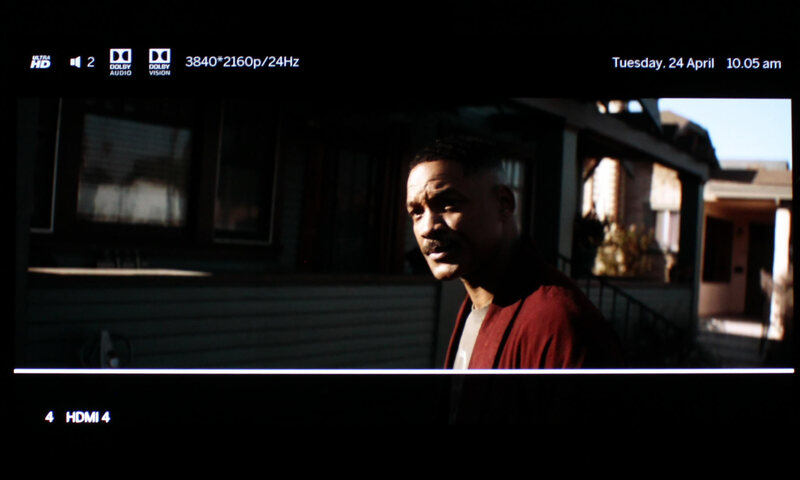 The ‘Home’ mode is the default mode whereas ‘Premium’ is advertised as a mode optimized for bright viewing environments and ‘Cinema’ as a mode optimized for watching movies. Every time you change a setting option, the TV switches to ‘Personal’ mode, which is where you can actually adjust things. The bild 5 offers a minimum of picture settings in the user menu. The menu allows you to adjust OLED panel brightness, color tone, and a few dynamic enhancement systems but not CMS, 10-point or anything of that sort (more settings are available in the service menu but we generally refrain from going there as it doesn't represent what buyers get). The lack of picture settings does not necessarily have to be a problem if the TV manufacturer factory-calibrate TVs to comply with the picture standards – and in the process got rid of the cluttered picture settings – but it becomes a problem when factory-calibration is off. Loewe has made some strange decisions that we have not encountered before. The default ‘Home’ mode has green nuances that are far too saturated, whereas blue and especially red are visibly undersaturated. The ‘cinema’ picture mode no longer has oversaturated greens but mirrors the effects in red and green. 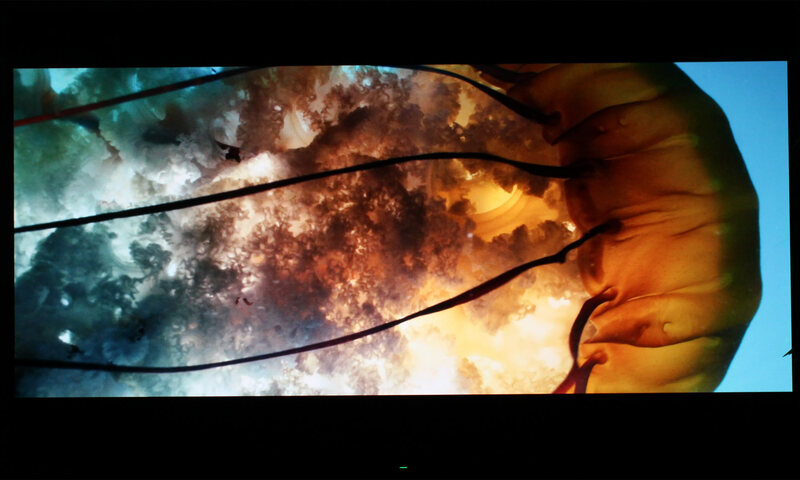 The strange thing is the OLED panel can easily hit more saturated green/red primaries so this is a deliberate choice. 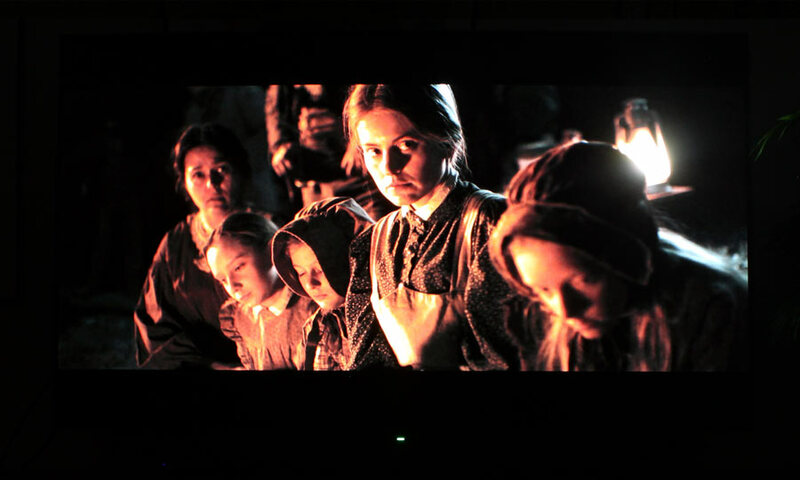 The ‘Premium’ picture mode on the other hand is based on the OLED panel’s native color gamut, which is intended for HDR viewing only, so almost all colors are too saturated in SDR mode and the picture is also far too cold / bluish. Sadly, there is no picture mode that offers accurate colors out of the box. Because Loewe bild 5 offers very limited picture controls there was only so much we could do but we managed to get a little closer to the mark. As you can see in the post “calibration” slide below, blue and red are still undersaturated, and color accuracy is not great. We had hoped for a better result. 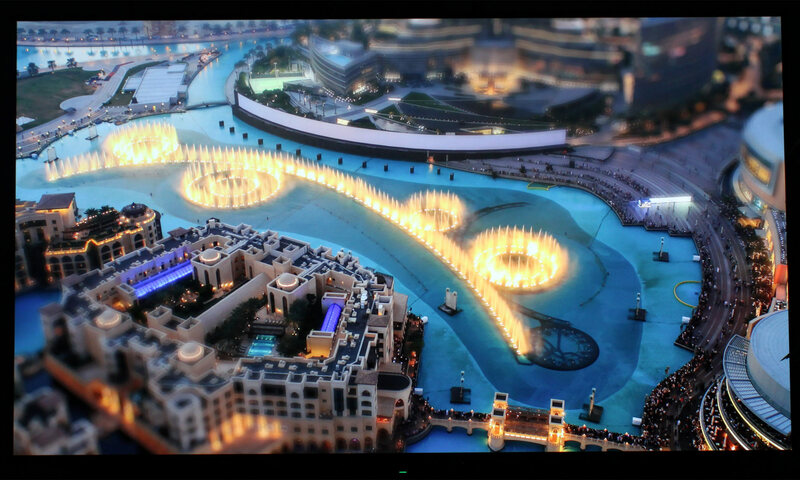 As for HDR, Loewe has also made some odd choices here. As you can see, the HDR10 mode is brighter than intended as it tracks above the PQ (perceptual quantizer) HDR reference for luminance. It peaks at around 620 nits. Colors are not completely off but not accurate either. Peak brightness is lower than on the LG C8 that we had standing next to bild 5 but what Loewe is trying to do is to retain details in highlights by giving the panel a little headroom at the top end (whereas LG is taking another approach with tone-mapping). There are very limited picture settings available for HDR and we did not try to calibrate or adjust HDR on bild 5. Note: We offer calibration settings only for SDR, not yet HDR. For our calibration we have deactivated the ambient light sensor that automatically adjusts the backlight setting according to your environment. You may prefer to have it enabled. As mentioned in the beginning, Loewe offers a range of TVs (from bild 3 to bild 9) based on LG.Display’s OLED panel. Every model comes with 4K resolution and support for several HDR formats, including Dolby Vision. Most of them are also built on the same “chassis”, meaning more or less identical performance not only in picture quality but also menus, speed and features. This made us reflect on one aspect of OLED TV line-ups that is noteworthy. Consider how consistent performance is across TVs built on LG.Display’s OLED panel, yet prices span from $1500 to several thousand. 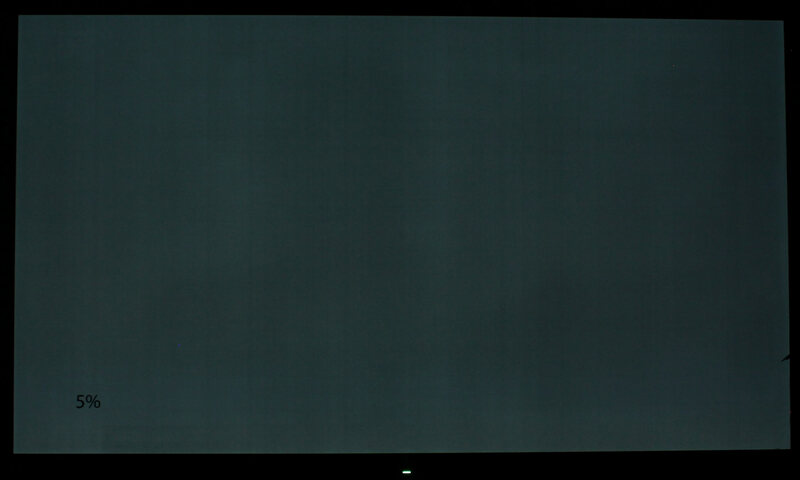 The panel is certainly not perfect but in specific areas such as black level and viewing angles, it is very close. By “consistent” we refer to the actual panel rather than what surrounds it, meaning video processing, factory calibration, and other manufacturer-specific choices. What a manufacturer like Loewe can contribute with in these areas is of course one of the big questions but consider for a moment the fact that all of Loewe’s OLED TVs should deliver more or less the same picture quality, despite a huge gap in price. As do LG’s wide line-up and Sony’s smaller line-up. This is in stark contrast to LCD TV line-ups where stepping down from something like Sony Z9D to X850F or Samsung Q9FN to Q7FN is a significant step, especially for HDR performance. This consistency also means that one has a pretty good idea about how a particular OLED TV performs, whereas LCD TVs are all over the map. This is particularly striking when looking at our list of reviews scores where OLED TVs tend to cluster together at the top end for picture quality – no single model falls through. This consistency also applies when comparing OLED TVs between brands and most of what we have seen during our time with Loewe bild 5 is very consistent with OLED TVs that came before it. Black is pitch black, viewing angles are very wide, and the complex color and contrast compositions that constantly change in video scenes look very pleasing and impressive because luminance is controlled on the pixel level. 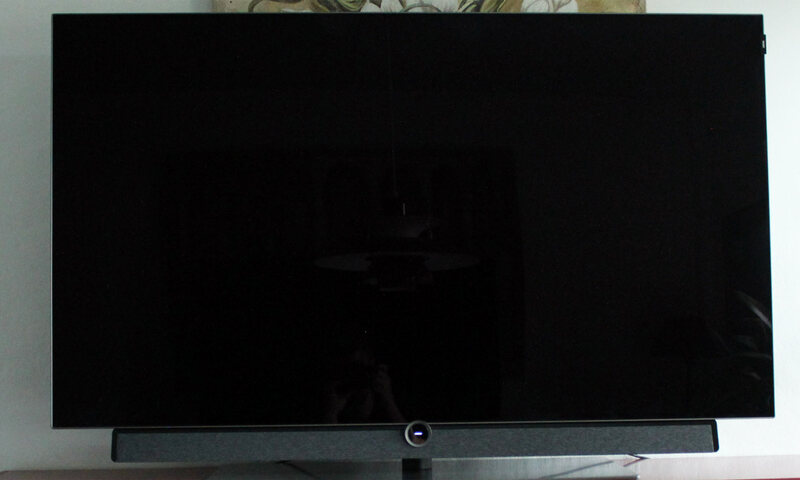 The LG C8 was placed next to Loewe bild 5 throughout most of our review and it was a constant reminder that LG’s TVs (that will become much, much cheaper than Loewe’s later this year) deliver picture quality in the same class (and even better in certain areas). 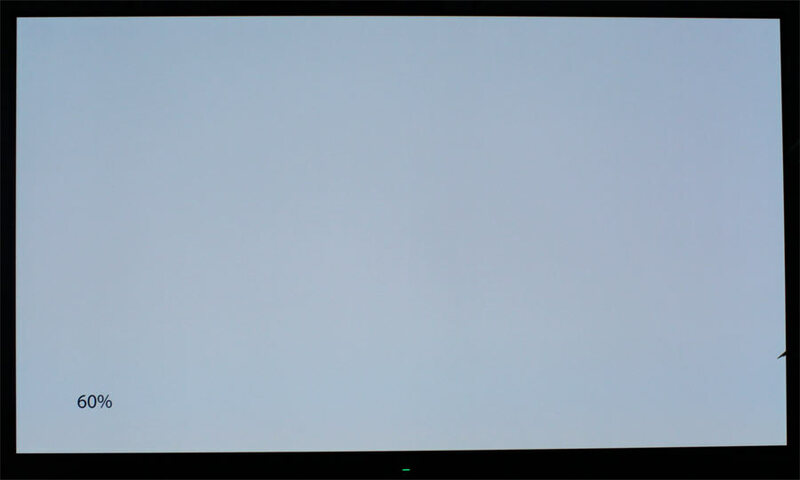 It is also a constant reminder that paying a premium for a Loewe TV does not actually give you better picture quality. You have to appreciate the secondary stuff to justify the price. But there are also differences and those are the areas that we want to focus on for this review. The first difference is that LG C8 can be calibrated to deliver extremely accurate colors in both SDR and HDR. 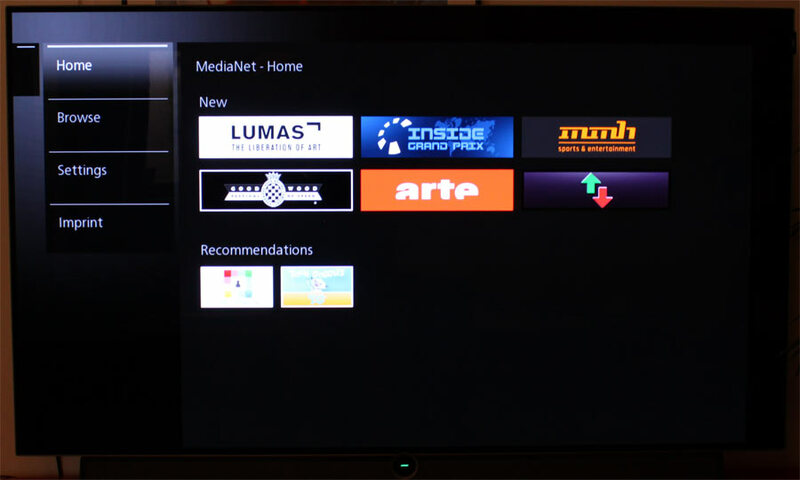 Loewe bild 5 cannot unless you are prepared to open the service menus, which we cannot recommend and never do because it simply does not represent what the typical buyer can expect from a TV. As discussed in the calibration section, Loewe has made the choice – or error? – to desaturate some primary colors in the Cinema mode, which is not something we often see. And because it offers very limited picture setting controls, we could not rectify this issue. It is not critical but some colors tend to deviate visibly when using the ‘Cinema’ mode. The ‘Home’ and ‘Premium’ pictures modes pull SD, HD, and 4K video out into a much too wide color gamut, which looks visibly wrong. This is a shame because bild 5 otherwise does a lot of things right. Loewe’s video processing is not best in class but it passed and did well in all of our tests, except for some minor limitations in motion (more on that in a minute). All of this ensures that you get decent SD upscaling and de-interlacing as well as good overall and neutral video processing for SD, HD, and 4K video. The other significant difference between LG C8 and Loewe bild 5 falls in Loewe’s favor. 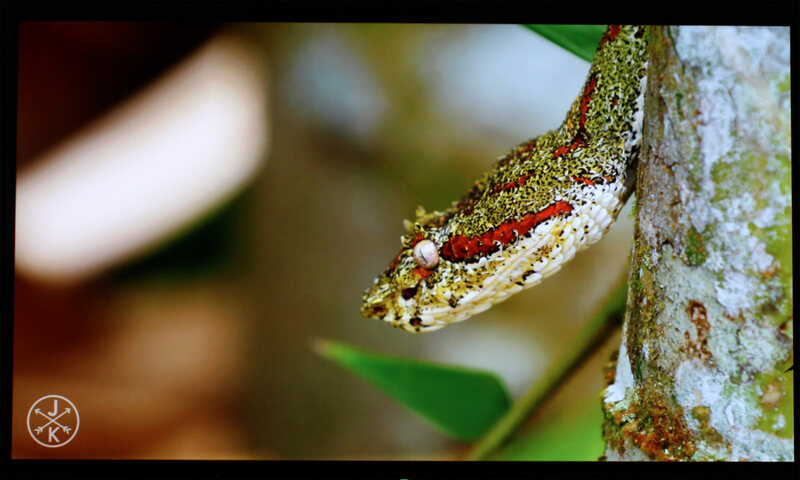 When moving on to HDR evaluation, we found that bild 5 does not suffer from the Dolby Vision’s raised black issue in those Netflix scenes that we often use to stress test Dolby Vision-capable TVs. Of course, we have not been able to check every single scene that has reported to be affected but our testing clearly shows that there is a difference between the two sets. We discussed this in more depth in our LG C8 review so rather than repeating everything, we include below a few paragraphs as well as comparison pictures between the two. While testing Dolby Vision content we also experimented with Apple TV 4K’s “match content” feature and found that Loewe bild 5 takes a full 6 seconds to switch from one refresh frequency to another.  During this period, the screen will remain black. This is significantly longer than most other TVs around, which is unfortunate. 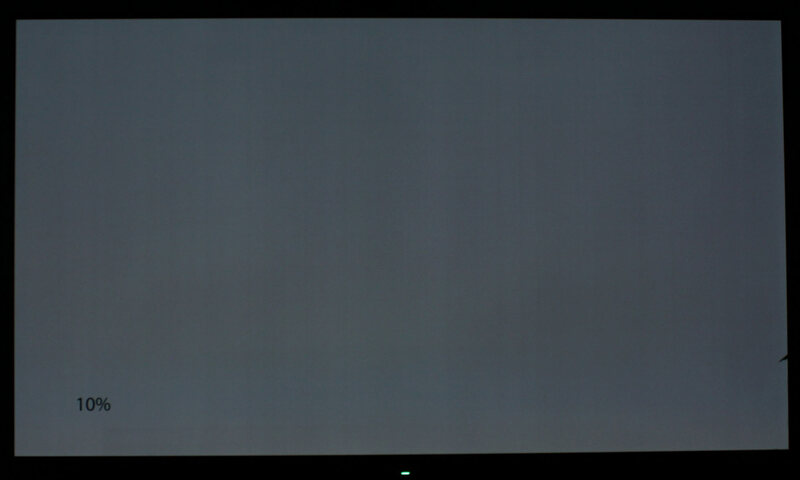 Until HDMI 2.1 with QMS (Quick Media Switching) arrives, we will have to endure this black screen effect whenever switching between frame/refresh rates but 6 seconds is so much that it gets a little frustrating at times. As you may have noted when looking at our measurements table, the TV also takes 45 seconds to turn on. There is a quick start feature available but it bumps standby consumption up to an incredible 73W. To round off the comparison, we are happy to conclude that Dolby Vision works better on Loewe’s TV than on LG’s OLED TVs but also have to point out that LG’s TVs have the edge in most other areas – and LG has promised to release a fix for Dolby Vision. If you can accept the color inaccuracies for both SDR and HDR mode, you get mostly excellent picture characteristics with Loewe’s set. It has the same characteristics that define other OLED TVs, including the vital pixel-level luminance and color control that makes pictures look intense and alive in ways that LCD TVs cannot match when watching movies in a dimmed or dark environment. 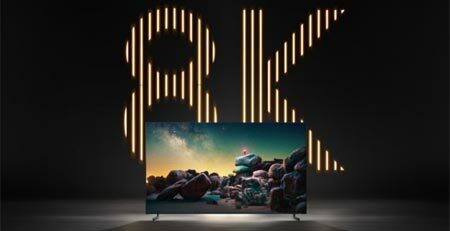 As we moved our attention to motion performance it was clear that Loewe’s TV cannot match LG C8 or Sony A8F that have both seen improvements compared to last year’s models. Loewe has implemented a motion interpolation system called ‘Film quality improvement’ but engaging it results in a heavy soap opera effect. We did not experience judder, micro stutter or similar issues but bild 5 does not retain as high resolution in motion as some of the best TVs out there can deliver. Input lag ticked in at over 100 ms with the default settings. There is no Game mode per se but there is a menu option to enable bypass hidden in one of the deeper menus. Engaging this “gaming” function brought input lag down to 42 ms, which is decent but not on par with the best TV out there. There are still references to 3D in Loewe’s menus but to be clear Loewe no longer offers any 3D TVs. The Loewe TVs that offered 3D have all switched to new panels, and the menu references have simply yet to be removed, the company informed us. Our sample of bild 5.55 had very good panel homogeneity. We observed no color tinting and no major banding issues. 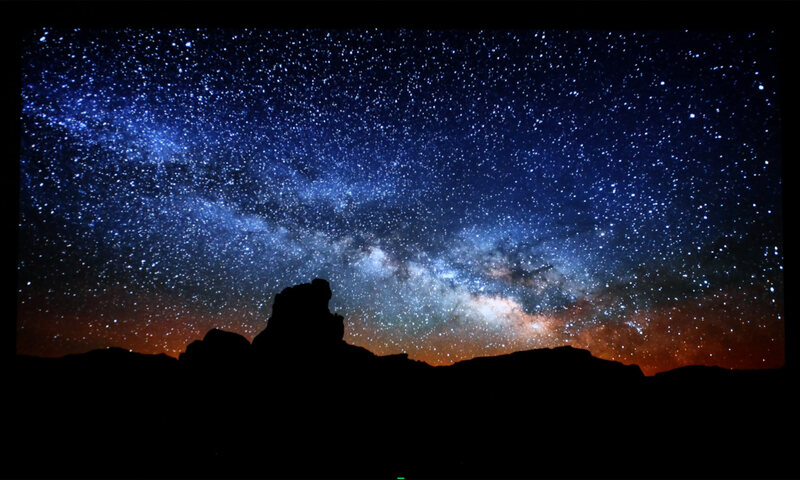 See our long-exposure shots below. We did not observe any issues with retention or burn-in during the review period. Viewing angles are very wide and there is almost no perceptible variation in colors when watching the TV from an angle. Contrast is also fully maintained even from extreme angles. 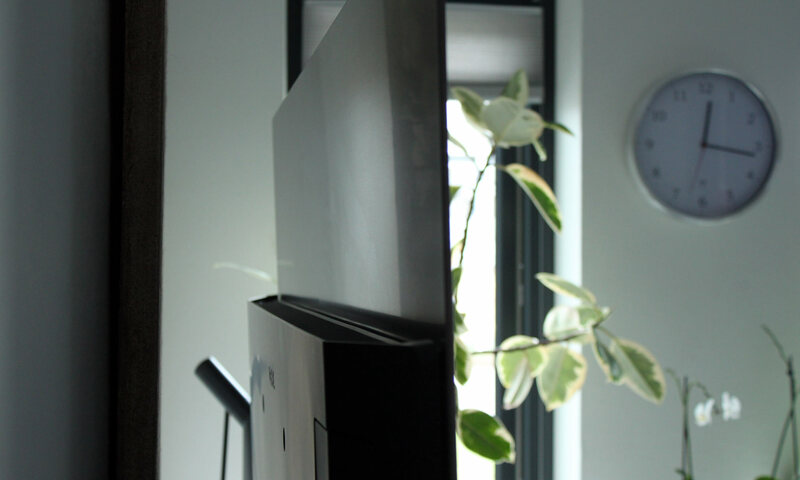 In this regard, bild 5 – unsurprisingly – performs like all other OLED TVs on the market – and far better than any LCD TV available. What defines a premium TV today? What defines a premium car? During major technology transitions that question becomes essential. When an electric coupe car can accelerate faster than a Lamborghini, what then are the implications for the premium car? 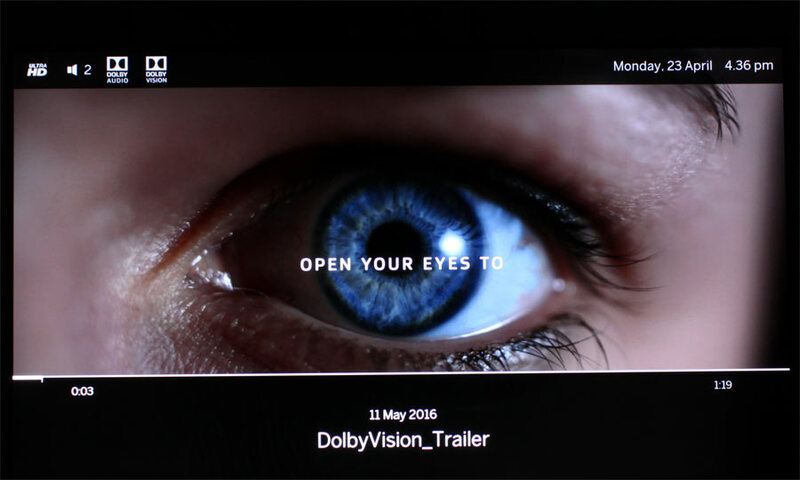 When the same technology – 4K, OLED, Dolby Vision etc. – and thus roughly the same picture quality can be found in a $1500 TV, what then are the implications for the premium TV? 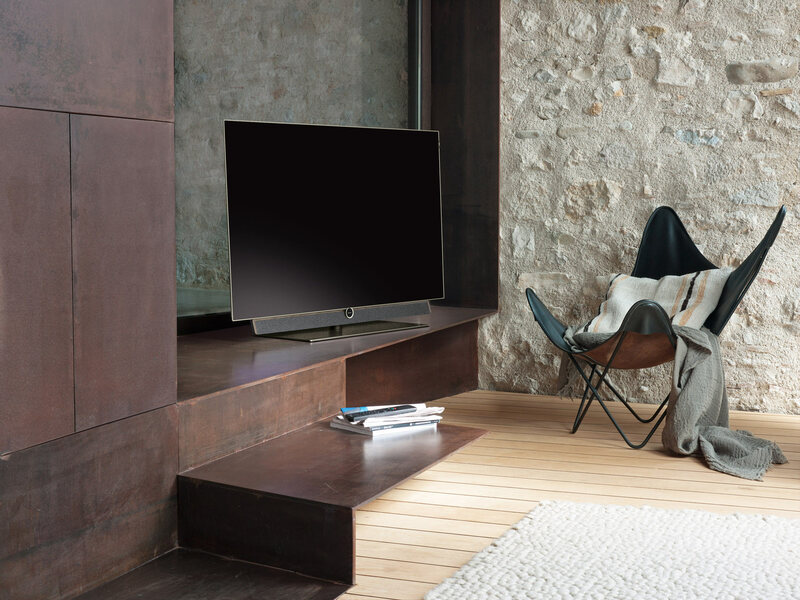 Now, bild 5 is far from Loewe’s most expensive TV but you must appreciate the streamlined design, quality materials, and the nice remote control to justify the higher price. And perhaps most importantly, you must prefer the old ways of watching TV, meaning broadcast TV and channels, to appreciate the comprehensive functionality suite that Loewe has integrated. Tuner functionality is some of the best we have seen in a TV to date, with fast channel switching, built-in recording, time-shifting, and more. 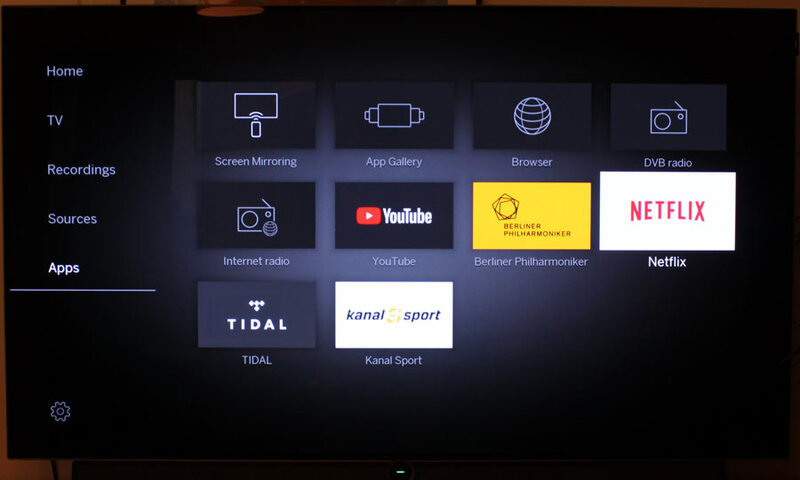 The internet / apps suite that is part of the ‘Loewe OS’ is on the other hand one of the worst that we have encountered in a connected TV to date – so poor that it actually detracts from using the TV. You simply must connect something like an Apple TV 4K, Chromecast or FireTV if you want to enjoy streaming video. The TV speakers are good, not great – there is also a full surround decoder inside. 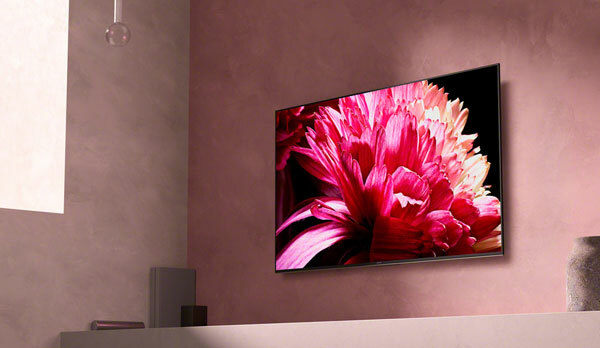 Picture quality is, in many areas, very close to an LG OLED TV. Loewe bild 5 has less accurate luminance and colors – in SDR and HDR – and there are no ways to rectify the issue in the user-facing menus, but it does not suffer from the raised black issue with Dolby Vision content. Besides that, bild 5 delivers everything that you expect from OLED including true black, wide viewing angles, pixel-level color and luminance control, and just an overall pleasant viewing experience. After a period of financial headwinds, Loewe has made the right choice to focus heavily on OLED technology. Loewe bild 5 has a nice design, a beautiful remote control, decent sound, and uses mostly quality materials. 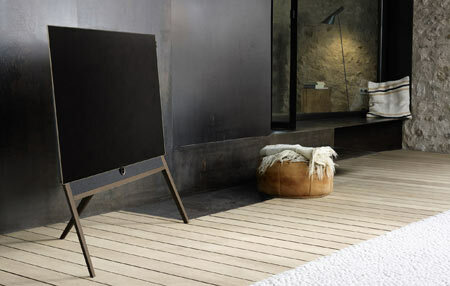 However, in our humble opinion a premium TV should also excel in user experience, and Loewe is not quite there yet.